Data Type : Define the type of field for the application. 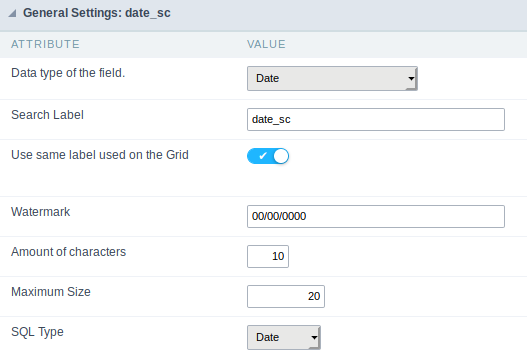 When set to Date, you can inform a date. 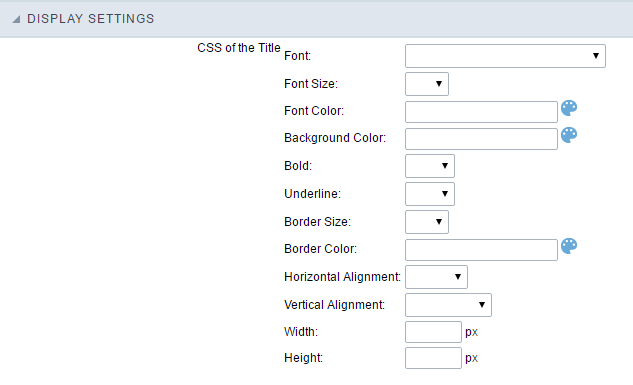 Watermark: Displays a watermark in the field input. 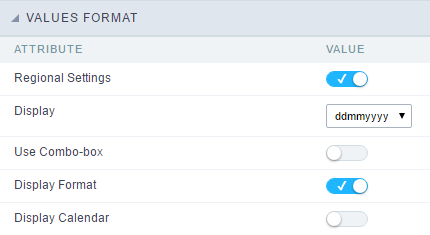 Regional Settings : Allows to apply the Regional Settings to format the dates of the field. When not enabled, it will be displayed the date separator attribute. Date separator : Allows you to inform the separator symbol for the date. Display : Select the format of the day for display. Use Combo-box : Allows you to select the date using a combo-box. Year as Combo : Allows to use the year combo to select the date. Initial Year : First year displayed in the combo. Actual Year + : Display the current plus the amount of years informed. Month in full textual : Displays the Month format in Full. Display Calendar : Enables the a calendar icon beside the field, this allows to select the date from a calendar with the format already setup. New Calendar : Defines if the JQuery calendar (New Calendar) is going to be displayed or the old format. Years Limit : Amount of years displayed in the calendar. View week number : Displays the number of the week in the application. Additional months : Displays the additional months of the calendar. Show Combo year and month : Displays the year and month of the calendar in the combo box. All Period : Searches for all periods of dates. Today : Searches in today’s date. Yesterday : Searches in yesterday’s date. Last 7 days : Searches the last 7 days. Ex: ((01/01/2017 01/07/2017). This month : Searches the dates from the first day of the current month. Last month : Searches the dates from the first day of lasts month.